Tsukiji Market is Tokyo’s biggest wholesale fish market. The market is divided into separate areas for business and for visitors. 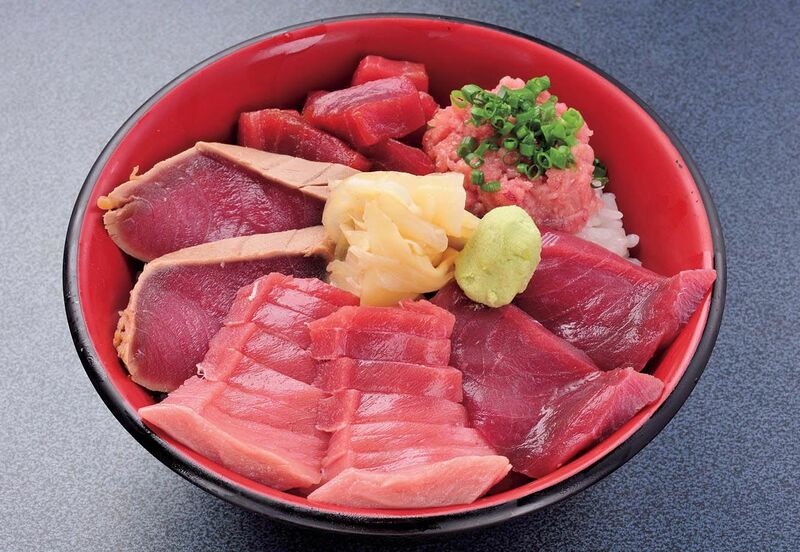 In both areas there are many restaurants which serve amazing kaisendon (fresh seafood rice bowl). 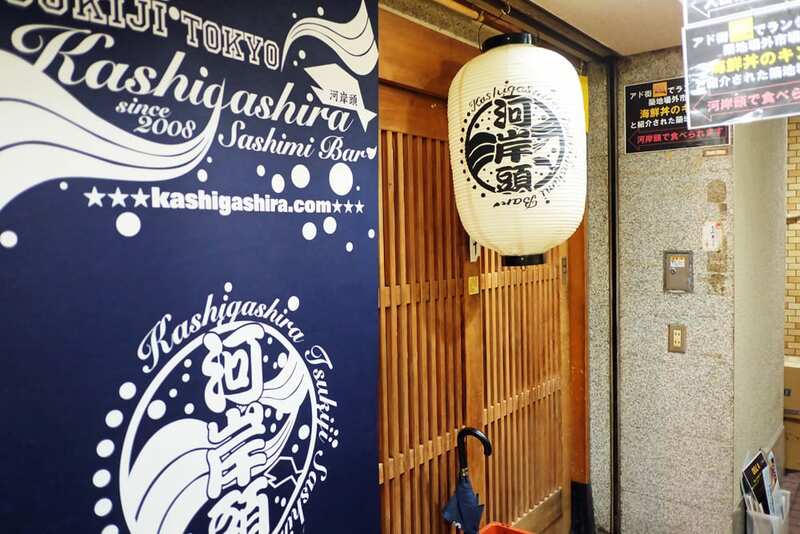 This time we’re focusing on a restaurant called Sashimi BAR Kashigashira, which is located in Tsukiji’s Outside Market. The restaurant was introduced in the media and many people rushed to check it out, so it’s worth a try! First, Sashimi BAR Kashigashira’s indigo blue shop curtains with stylish logo will catch your eyes. Second, you will be amazed at their food because they’re one of the few restaurants that serve rarer types of seafood. 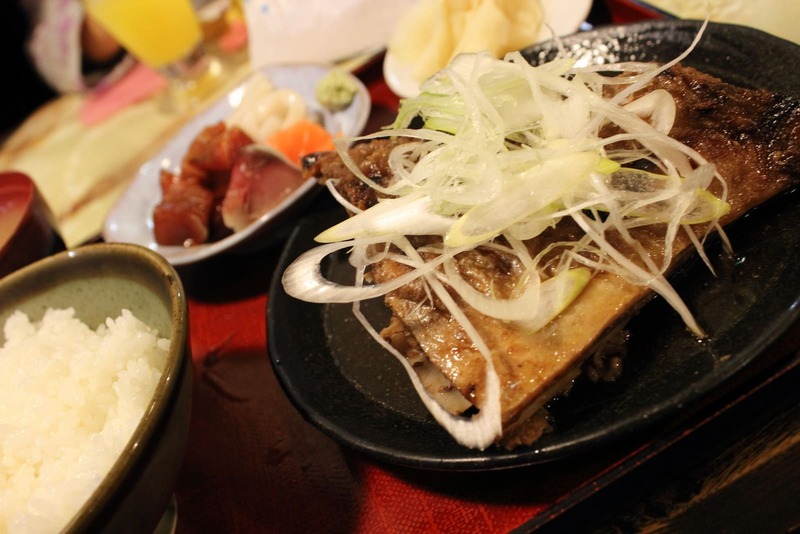 People say that this restaurant is one of the best in Tsukiji’s Outside Market. The owner of the restaurant used to work in Tsukiji Market, so he uses his skills and experience when he selects seafood to serve his customers. As a result, this restaurant has been loved by many people because of its fresh and delicious seafood. Sashimi BAR Kashigashira opens as a restaurant during the day and as a bar at night. The kaisendon is served only during the daytime. At night, the restaurant turns into a bar, mainly serving full course dinners. 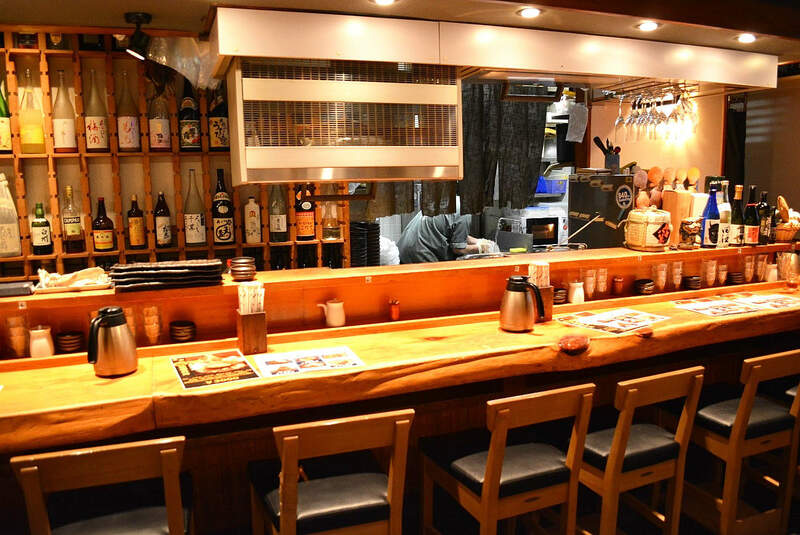 This restaurant is located on the B1 floor of a multi-tenant building in Tsukiji’s Outside Market. Although it’s not so easy to reach, people line up for the food before the restaurant even opens. We recommend that you arrive at the restaurant as early as possible, since all the seats will be taken as soon as it opens. It opens from 11:30 for lunch and 18:30 for dinner. Tsukiji-jougai-don is Sashimi BAR Kashigashira’s special menu item. This meal comes as a double bowl, one stacked on top of the other. The top half is kaisendon (fresh seafood rice bowl) that is full of seafood such as a prawn and ikura (roe), whereas the bottom half is kaisen-chirashizushi (sushi rice with seafood and other ingredients such as eggs and vegetables). 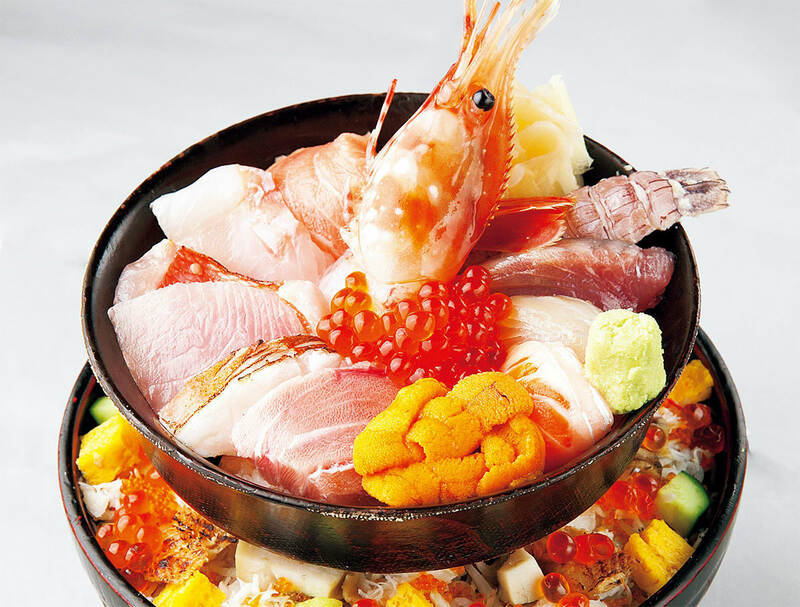 Combining the two levels, you can eat over twenty different kinds of seafood. We can safely say that you won’t be able to find another restaurant that serves kaisendon with so many different kinds of seafood anywhere but here. It’s 3,000 yen, but totally worth it! Another amazing menu item is the Maguro-zukushi-don (All about tuna-don). It includes various parts of the tuna such as chu-toro (the back of belly meat), akami (back meat), tsukemaguro (tuna soaked in soy sauce) and negi-toro (green onions and tuna paste). With this menu selection, you can enjoy various types and flavors of tuna. You can add different seafood or even more tuna on top. The Maguro-zukushi-don is 1,500 yen. All tuna lovers should try it! The last menu item that needs to be mentioned is Agoni-teishoku (Chin Set Menu) and it’s 1,500 yen. Choose this menu item and you will be served a cooked tuna’s chin. A tuna’s chin is extremely rare, so it’s very hard to find. People love the tender tuna’s chin cooked in a sweet and savory flavor. This is for people who want to try rare seafood delicacies.